The absolutely delicious sweetness of rich, ripe black cherries.Fragrance Notes:Top: Cherry, Almond Mid: Cherry, Cinnamon Base: Sweet CherryTop note is the initial impression of the fragrance, middle note is the main body of the scent and base is its final impression. 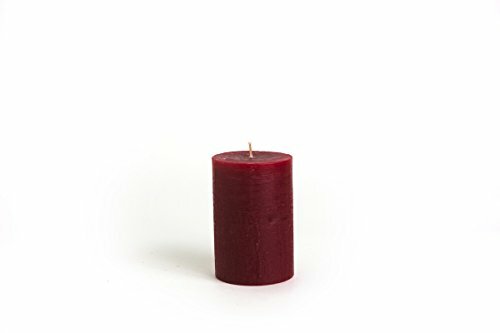 About Small Tumbler Candles: This candle's small 7-oz. size likes to mingle in groups with other size candles. It's also great for gift giving or sampling our scents to your heart's content. The brushed metal lid and modern shape keeps it on trend. A single wick does the trick in distributing the premium fragrance. (35-55 hours burn time). Top Note: Cherry, Almond . Top is the initial impression of the fragrance. Mid Note: Cherry, Cinnamon . Middle is the main body of the scent. Base Note: Sweet Cherry. Base is its final impression. COLORFUL DESIGN: These beautiful pillar candles are best sellers in the floral supply, home d cor, and wedding planning industry. From home decorators, to event planners, a high quality traditional pillar candle is always put to good use. It will enhance any event with its warm light and bring upon a sense of harmony and romance. QUALITY & SAFETY: Each 6 pillar candle is crafted of the highest quality wax to enhance its appearance and prevent it from dripping or melting away fast. 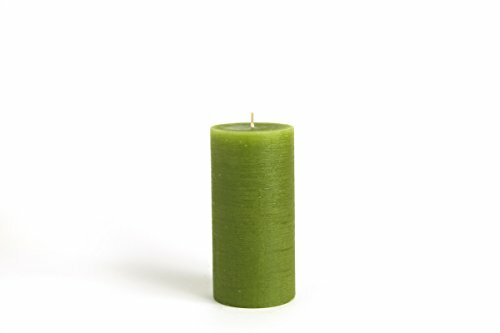 Our pillar candles are handmade in Europe, and feature cotton core wicks which causes the candles to burn clean and smoke-free. QUALITY & SAFETY: Each 4 pillar candle is crafted of the highest quality wax to enhance its appearance and prevent it from dripping or melting away fast. Our pillar candles are handmade in Europe, and feature cotton core wicks which causes the candles to burn clean and smoke-free. Our unscented 4"H White pillar candles are ideal when creating a beautiful candlelight arrangement for the home or wedding decor. When color is essential for weddings, our candles are available in 45 trendy candle colors hand over dipped to match and compliment your wedding centerpiece decorations, bridesmaid dresses, napkins and wedding favors. Our candles are crafted with a pure white fully refined unscented paraffin wax core and then dipped by hand in our specially formulated colored over-dip wax to ensure the cleanest burn and maximum performance. We use 100% cotton wicks in all of our candles. Burns approximately 40 hours. Our candles are designed to burn smokeless and drip less at room temperature and still air. Made in Canada. 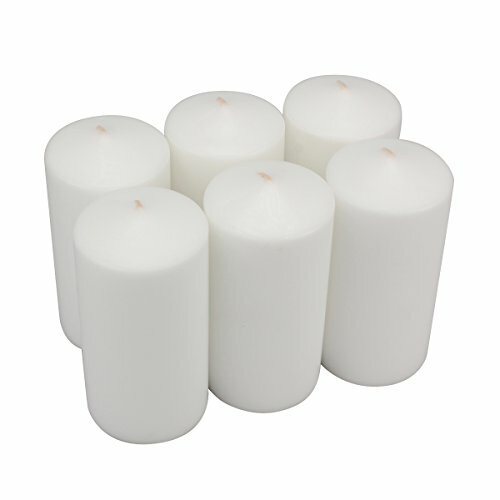 Package contains 6 tall quality paraffin unscented white 3x6 pillar candles. Our wicks are lead free and 100% cotton for a clean smoke-free burn. These quality pillar candles can be used with any decor whether it be a beautiful centerpiece for the holidays, an upscale romantic restaurant setting, unity candles for a wedding, or a relaxing spa atmosphere. Pillar candles set is also great to keep handy as emergency candles for those stormy pillar candles measure 3 inches by 6 inches and are the perfect size for large and medium candle lanterns, decorative centerpieces, mantel decoration, or simply to enhance any table top in your home. These pillar candles can be used for weddings, birthdays, anniversaries, and much more. 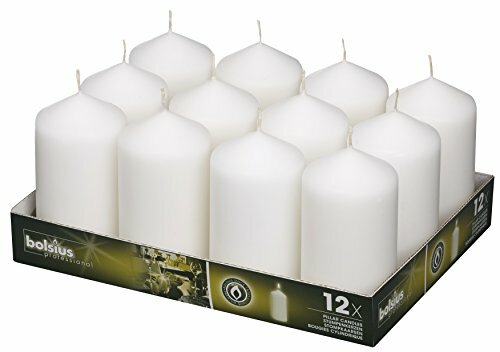 Pillar candle set comes safely shrink-wrapped in a cardboard base to ensure they arrive to your home neatly and undamaged. Buy your Stone briar pillar candle set today and brighten up any room in your home! The bolsius tray of 12 pillars is a high quality candle made from a good wick and high quality wax, made by the largest manufacture in Europe, we carry a full line of candles such as taper candles, household candles, tea lights, table candles wedding candles, its a dripless pillar candles, good for many occasions such as party's weddings restaurant candles and more. 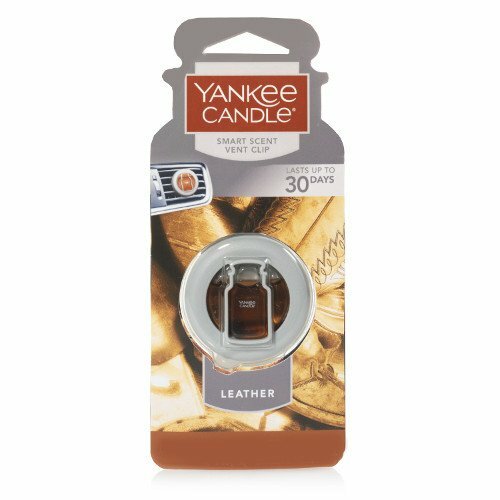 These Top Quality Flameless Candles by LED Lytes are made of real wax but still give a natural appearance while assuring the safety you desire!! LED Lytes is based and operated in the USA!! We do not wholesale our products and we offer a TWO year Guarantee if Purchased from LED Lytes!! YOUR MOTHER WILL BE THRILLED TO RECEIVE THESE! You have found the perfect gift for Mom on Mother's Day! 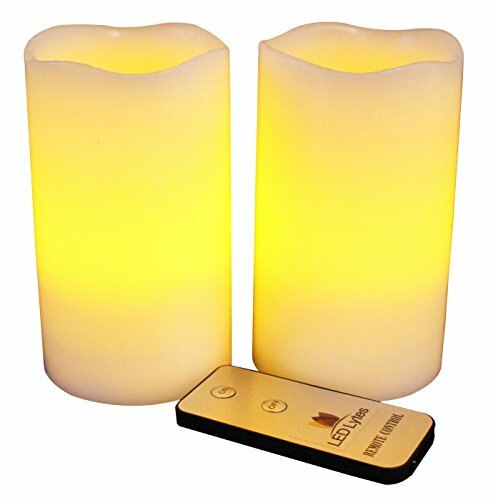 She will receive two wax LED candles that measure 5"" tall and 3" wide. NO NEED TO WORRY THAT THEY WILL LOOK FAKE! Because of the real wax they have a very natural look...plus they will not blow out during those windy events...or intimate evening for two! They are unsccented. FALL IN LOVE WITH THE EASY TO USE REMOTE! Just a simple On/Off is all you need! ARE YOU PLANNING A PARTY OR WEDDING? You have just found the perfect top quality decorations! 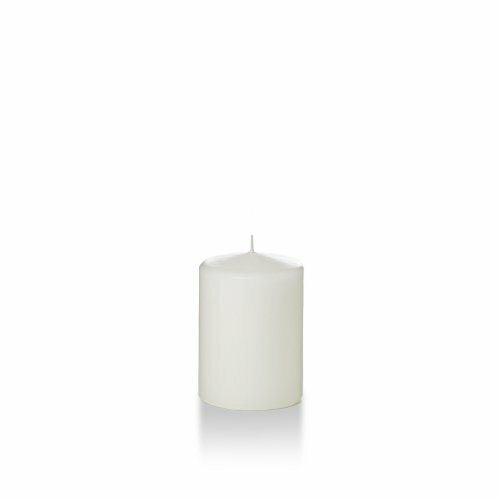 The flame sits deep inside the wax candle to give you a realistic appearance without the smoke or messy dripping wax! Warranty: Two year warranty on all items purchased from led lytes. We do not wholesale our products to anyone.